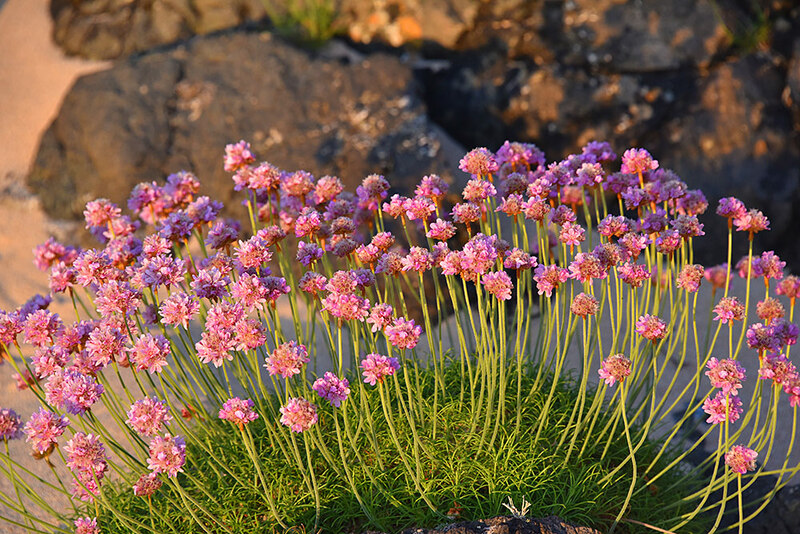 Looking beautiful in the mild Islay evening light at Lossit Bay, a bunch of Sea Pinks on top of a rock. 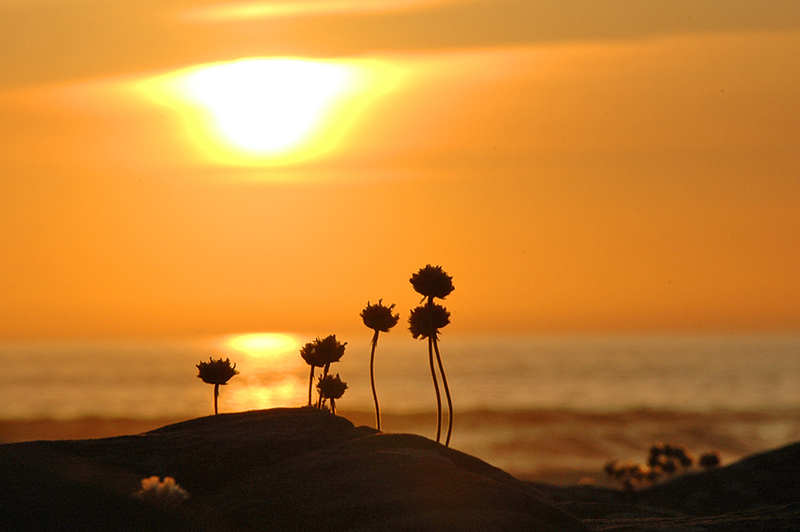 A June sunset at Saligo Bay on the west coast of Islay, the Sun approaching the horizon behind some Sea Pinks on the rocks above the beach. 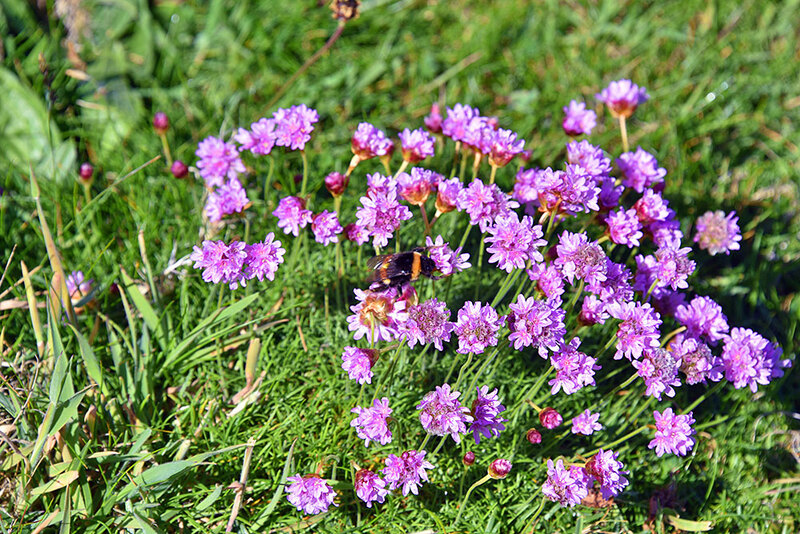 Spotted on a walk between Portnahaven and Lossit Bay on the Rhinns of Islay, a bunch of Sea Pinks with a Bumblebee at work.